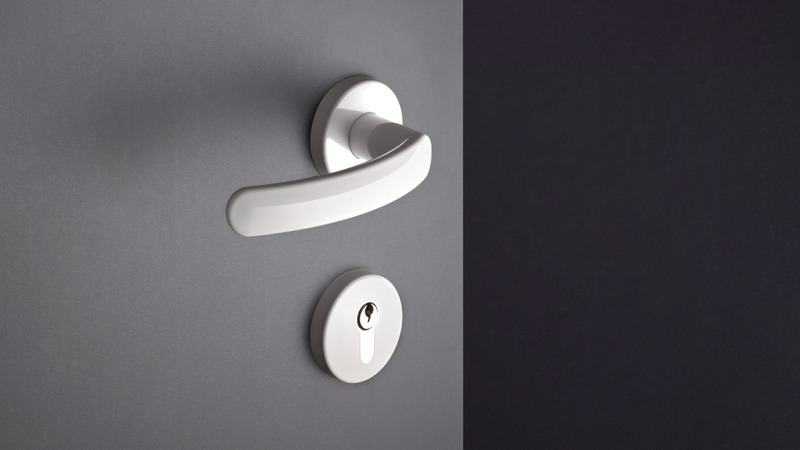 Clear design characterises the lever door handle Range 130. The high-gloss polyamide surface is pleasant to touch. The polyamide material has many advantages: It is wear resistant, antistatic and chemically resistant. 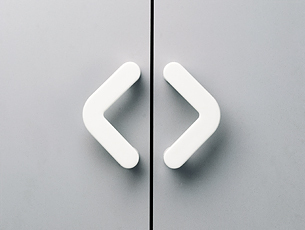 Polyamide lever handles are also easy-care and hygienic. The steel core inside the handle increases its stability. Combined with high-quality materials and perfected technology, this guarantees lasting quality. Range 130 is available in selected HEWI colours and therefore offers many design options. 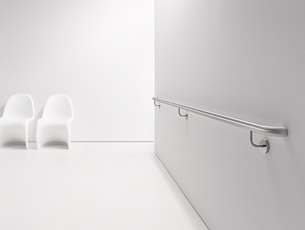 The hardware Range 130 opens up large variety of uses: For example, matching product solutions are available from the entrance door to the pass door through to the room door. 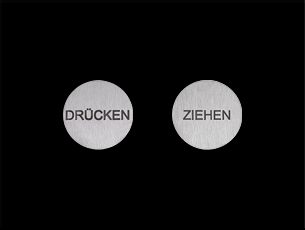 The selected HEWI colours enable Range 130 to be integrated into all kinds of different room concepts. 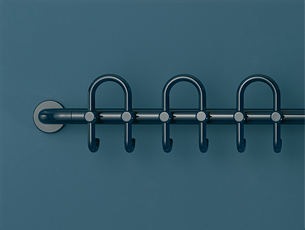 HEWI offers a selection of cloakroom rails for fixing on walls, clothes hooks and hangers. The products are made of high-quality polyamide and are available in selected HEWI colours. A comprehensive range of cabinet furniture products made of high-quality polyamide is available. Flush pull handles, handles and knobs are available in selected HEWI colors.